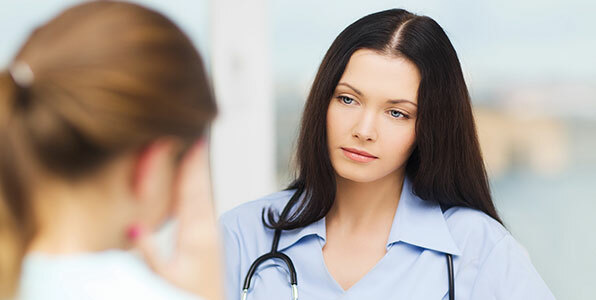 If you are considering terminating your pregnancy, it is of paramount importance that you receive the safest care possible from experienced and compassionate experts. The right to choose is yours, and here at The Gynae Centre we aim to provide you with the best available options when it comes to pregnancy termination. Manual Vacuum Aspiration (MVA) is a gentle, early abortion option which is available between 6 — 12 weeks of pregnancy. It is one of the least invasive procedures available, done with a mini handheld vacuum, creating gentle suction. With this procedure, you have the option to be under local anaesthesia or general anaesthesia. MVA differs significantly from Machine Aspiration, which is commonly used in many hospitals — requiring general anaesthesia and creating a very strong vacuum pressure leading to significant pain. By contrast, MVA creates gentle pressure and can therefore be done under local anaesthesia. However, cramps of the uterus will still be felt for small periods of 10-15 seconds, up to 3-4 times, allowing periods of rest in between. Alternatively, If you prefer to be asleep during the procedure, we can arrange conscious sedation, which allows you to go home after 30-60 minutes and even return back to work the same day. A small cannula is introduced to the uterus, resulting in a small cramp. Re-dress, followed by observation for 30-60 minutes, where you will be offered a drink and a snack. Equipped with state of the art facilities, The Gynae Centre is one of the foremost centres for gynaecology care in the UK, and home to renowned gynaecology expert – Dr Alex Eskander. Approval of The Gynae Centre for the Termination of Pregnancy under Section 1(3) of the Abortion Act – granted by The Department of Health, Whitehall, London – 2018. At The Gynae Centre, abortion using MVA is provided as a comprehensive package, from consultation to recovery — ensuring patients feel comfortable, informed and supported throughout their journey. Surgical Abortion under local anaesthesia, (awake) 6-10 weeks: £875. Includes consultation, ultrasound scan, Haemoglobin blood group, Chlamydia test, surgery, theatre fees, ultrasound during surgery, theatre fees. Surgical Abortion (with sedation) 6-12 weeks and 6 days: £1,300. Includes consultation, ultrasound scan, Haemoglobin, blood group, Chlamydia test, surgery, theatre fees and ultrasound during surgery. This type of sedation allows you to fall into a light sleep and removes about 75% of the period pain. To find out more about how we can help you, contact The Gynae Centre at 020 7580 8090. The Gynae Centre now offers same day appointments. In most cases, depending on the level of care you need and the time when you call, you'll be seen by a consultant on the same day. Call 020 7580 8090 to book your appointment.